From pollution to sea-level rise, sunny-day flooding, harmful algal blooms, endangered/invasive species, coral bleaching, illegal wildlife trafficking, and issues of environmental justice, Green Shorts Film Festival (GSFF) highlights these stories in an array of student films and selections from the NY WILD Film Festival. 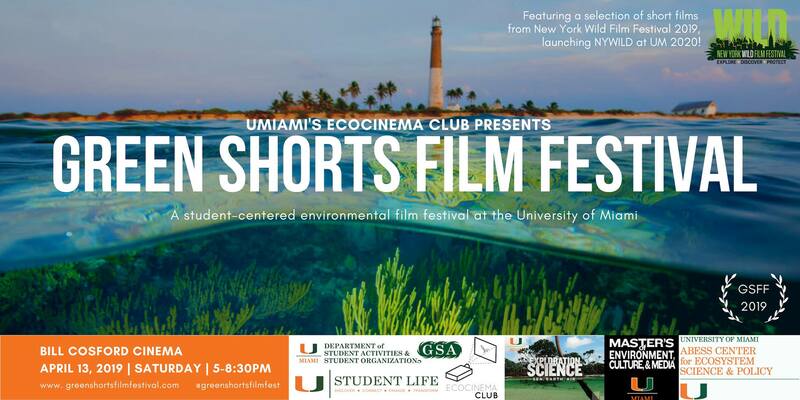 Organized by the University of Miami’s Ecocinema Club the Green Shorts Film Festival presents a selection of sustainability and conservation short films selected in partnership with the 2019 New York WILD Film Festival. The documentaries include topics about exploration, adventure, wildlife, conservation and the environment. The University of Miami’s Exploration Science Program is a founding sponsor of New York WILD. 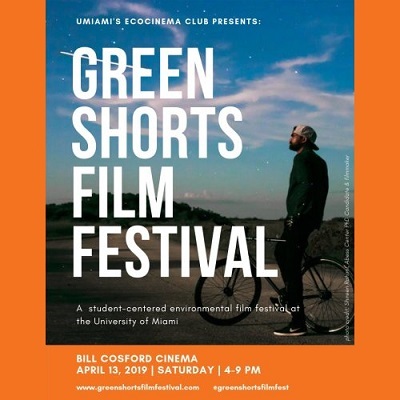 The 2019 Green Shorts Film Festival will be at the Bill Cosford Cinema on Saturday, April 13th, from 5:00 – 8:30 p.m. 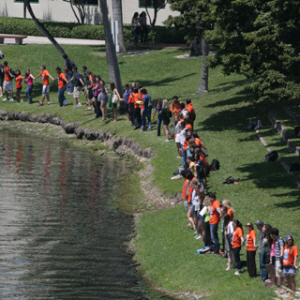 The festival will take place as part of the University of Miami’s Earth Month festival. The University of Miami invites you to celebrate Mother Earth on the Lakeside Patio April 21st from 10 am to 3 pm! – Pass by the ECO- Green U table to get your punching card, visit our booths and start learning while having fun. – Learn from our partners how they promote Sustainability in our region: Check the list of vendors from the Green Fair below. – Win sustainable prizes like reusable water bottles, recycled fiber bags or Sustainable food vouchers. – Listen to a Frost School of Music sponsored Concert. The electricity used for the concert will be offset by Renewable Energy Credits, making the concert NET ZERO ENERGY. – Admire the work of our School of Art’ students. Their creations’ material came from salvaged resources they picked at the UM Surplus warehouse in Medley FL. 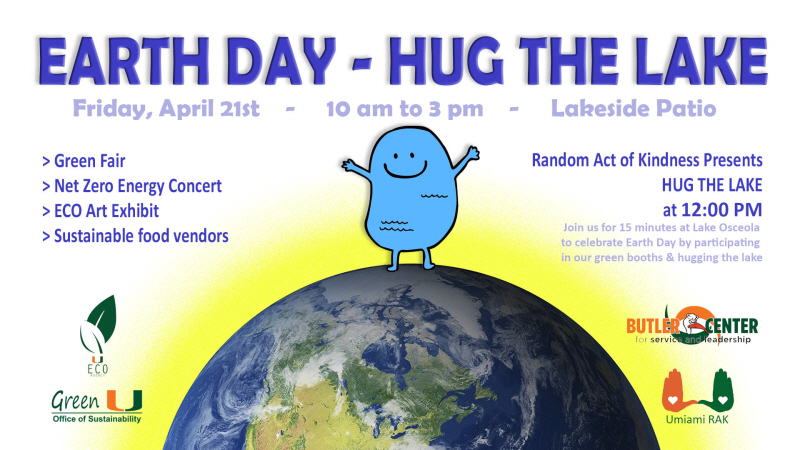 Presented by Random Act of Kindness and the Butler Center for Service and Leadership: At 12 pm, you are all invited to join us for 15 minutes at Lake Osceola to celebrate Earth Day by hugging the lake. Local Non Profit and Government: Coral Gables Office of Sustainability, Dream in Green, Citizen Climate Lobby, Treemendous, UF Extension – MDC Florida Yards & Neighborhoods . Sustainable Food: UM Dining Services, Herbert Wellness Center, Solar Smoothies with UM Student Health, and Ice Cream at Ben & Jerry!